In my previous post, I’d used the composition APIs to draw some spinning rectangles whereas this question was about filling those rectangles with images and so I thought I’d bend the code that I’d written to render some images. It’s not quite as easy as it sounds – the Visual Layer talks in terms of visuals being painted with brushes and so it initially seems natural to expect that there would be some kind of ‘image brush’ to do this for you. However, as I found in my initial post on this topic, I don’t think that’s the case and it’s perhaps right that it isn’t the case. The composition APIs are perhaps more to do with composing things that have already been drawn than they are to do with drawing things in the first place. So, how does a rasterizer that can draw content plug in to the composition APIs and paint a visual with what’s been drawn? Note, ICompositionSurface is exposed in Native code only, hence LoadImage method is implemented in native code. and the MSDN docs refer to a “LoadImage” function to bring in images. However, that “LoadImage” function is one that you won’t find anywhere in the APIs – it’s implemented in the C++ code that you’ll find in the composition samples on GitHub in this Toolkit code and the samples all seem to use this mechanism of painting visuals with images. I didn’t necessarily want to include that bunch of C++ code every time that I wanted to draw an image and so I thought that I would use a different means to get a CompositionSurfaceBrush from an image and it’s very similar to some code that I wrote in my first post around Windows.UI.Composition. I brought in Win2D via the Win2D.uwp package because there’s some support in there for rendering content with Win2D by being able to create a CompositionGraphicsDevice and then using that to create a drawing surface. // the brush itself stretch it. I’m not 100% sure that I have that right but it means that I can now ‘walk up’ to this CompositionImageBrush class that I’ve made and grab a brush from it for an image that I have in a file and it’s going to use Win2D to render that image at the size specified onto a drawing surface that can then be used to paint a visual. and so here there’s a method to set the Canvas to be drawn to, then there’s one to set up the image to be drawn and the dimensions that it’s to be drawn it. Then there’s a method to draw an individual image and another to clear all the images. 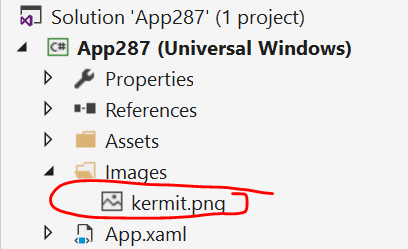 Initially, the app reports 30 frames per second and the system compositor reports 60 and that stays pretty constant until I reach 1024 kermits – i.e. 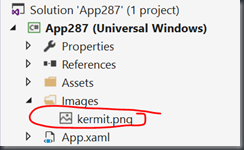 at 1024 kermits I was seeing the app reporting 16fps and the system compositor was reporting 60. My interpretation of that is that I’m taxing the UI thread too much. 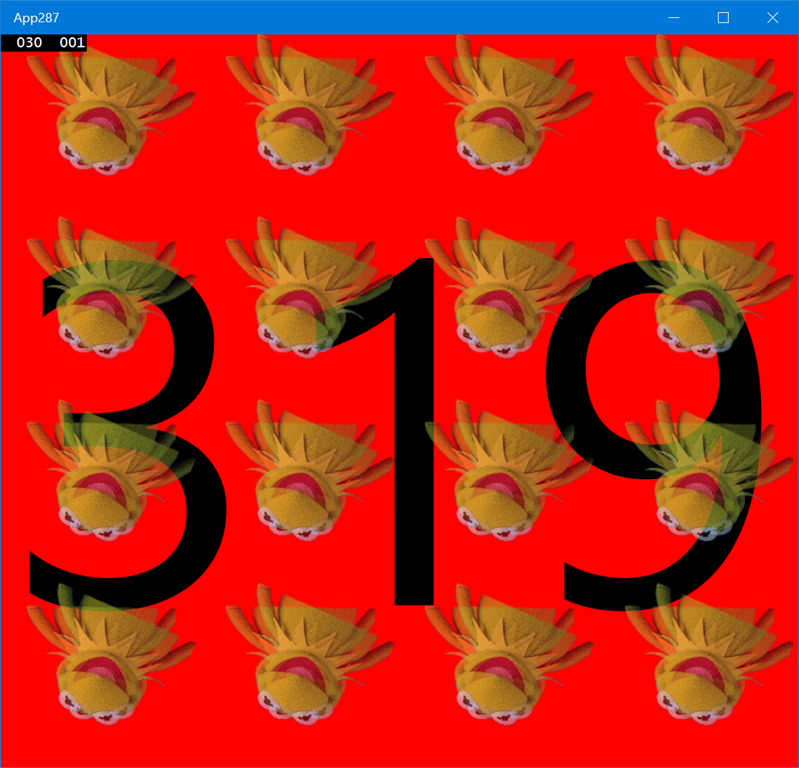 At 4096 kermits the app was reporting around 3fps and the system (compositor) was again reporting 60fps. With the Visual based rendering (i.e. where the compositor is doing the image drawing, the animation of the opacity and the animation of the rotation) I see that initially the performance counters report 30fps for the app and 60fps for the system and that seems to stay constant up to 16384 kermits and then things go a little crazy as I try and step to 65536 kermits. So, that’s another little experiment with the Visual layer – the code for it is here if you want to download and the main thing for me is that I probably picked up some re-usable code for painting visuals with images here.